And finally, it’s a wrap! Today’s Pantone Spring 2014 color is the last but definitely not the least. Dazzling Blue was mistakenly reported as the Color of the Year but Pantone has quickly hushed this little tittle-tattle and said they usually announce the Color of the Year during December so we just have to wait for another month to finally know the real deal. Yet, despite this little mistake, which I’m sure was brought about by excitement, I’m quite positive and we’ll not be surprised if just the same, Dazzling Blue is formally announced as next year’s hottest hue. Have doubts? Read on. Dazzling Blue is scintillating and a polar opposite to Placid Blue, and honestly, this hue reminds me of just one thing – okay, make that two: the engagement dress of the Duchess of Cambridge, née Catherine Middleton and of course, her engagement ring sparkler. 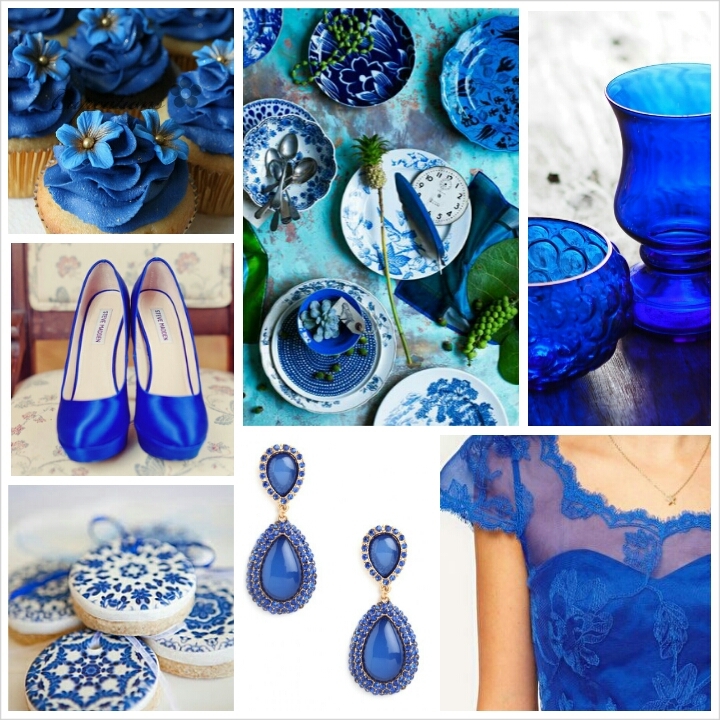 So when I see Dazzling Blue, I think of royalty, of everything elegant, and of all things bright. It’s strong, yet cool and calm shade can work well with lighter hues or enhance the vibrancy of other bold colors. But, if used alone, Dazzling Blue will be a perfect color motif choice for formal soirees, and your night-scapade wedding parties.